Spring. 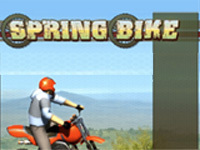 Ride your bike over all the obstacles as you keep from tipping. then you need to download Adobe Flash Player for your computer.